Pictured above is a page from an autograph album which once belonged to my great grandmother, Annie Petrie Olson. Annie's family - Adam Petrie, Elizabeth Moore Petrie and children George Walter, Edith and Annie lived in Unity from 1874 until 1888. The book must have been a Christmas gift in Dec., 1879. 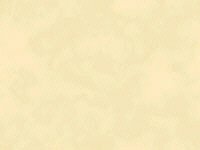 I counted 71 pages in the album with inscriptions from friends and relatives (1879 - 1889). Each inscription is hand written, usually with name, date and town. Some of the calligraphy is wonderful. In paging through, I see Unity, Thorpe, Brighton, Chippewa Falls, Concord, Stockbridge, Colby, Eau Claire, Neillsville, Oshkosh, Milwaukee, Withee. Most of the entries are from Unity. 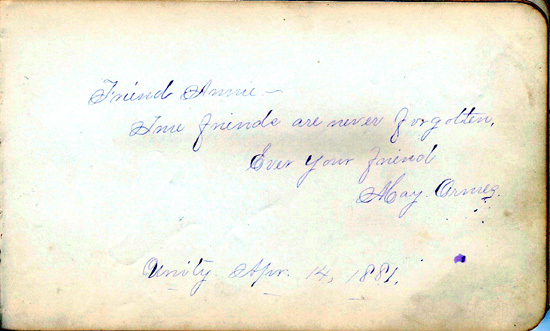 I eventually hope to provide scans of every page and this one, dated April 14, 1881, was from Mary Ormez?, of Unity, WI.